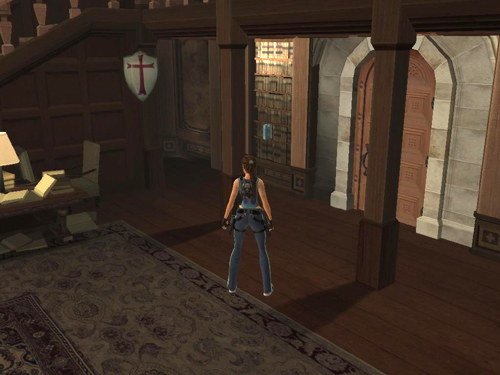 Return to the LIBRARY (i.e., first door on the balcony above the MAIN HALL). 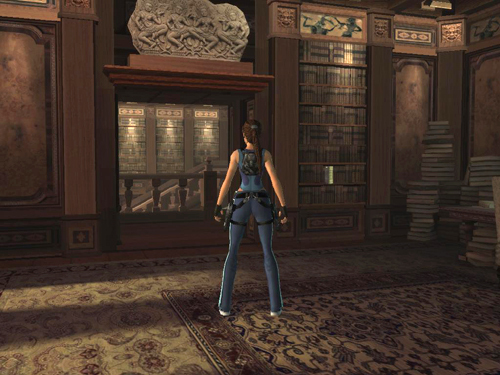 Use the Interact key to press each of the protruding colored books in the right sequence: cerulean, topaz, viridian and crimson (i.e., blue, yellow, green, red). 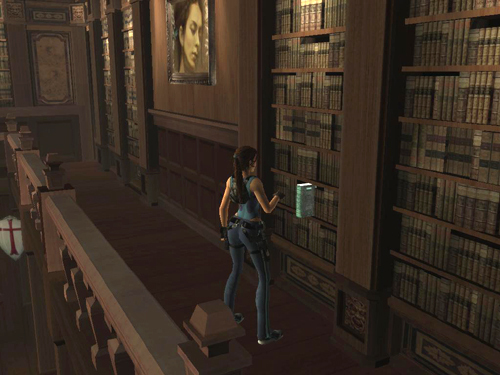 Blue is just inside the library on Lara's right. Yellow is in the upstairs office. While you're here, pick up a bronze reward (15/16) in one corner. 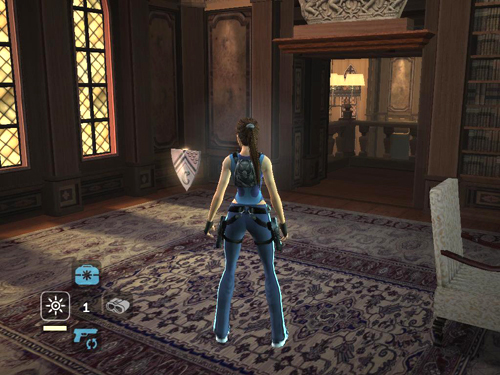 Then use the dagger switch to open a secret panel, behind which there is another bronze reward (16/16). The green book is on the upstairs landing. The red one is on one of the downstairs shelves. 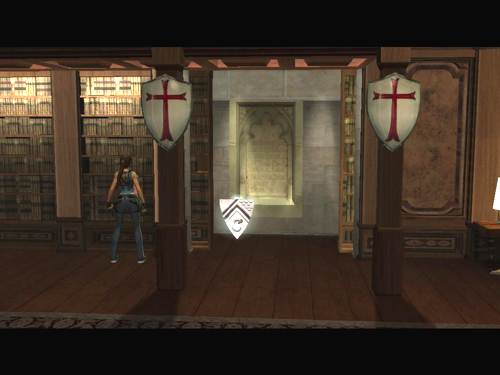 When the books are pressed in the correct sequence, a secret panel opens near the red book, revealing a silver reward (10/10) and another plaque. 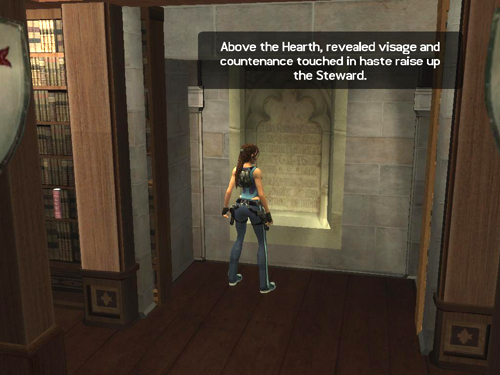 Press Interact to make Lara reads the inscription aloud, enabling the next part of the puzzle. 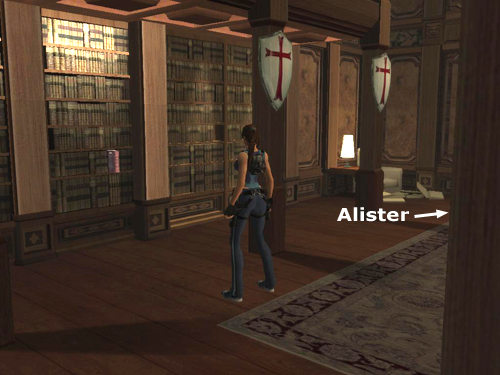 NOTE: If you press any of the books out of order, the puzzle won't work. 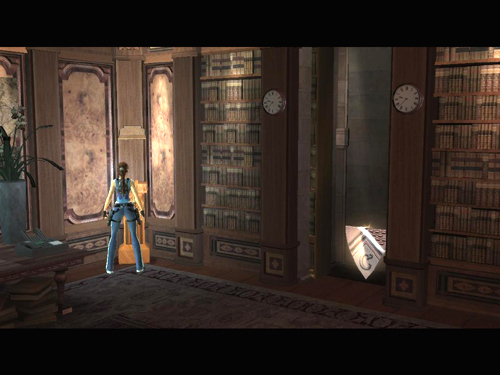 To reset it, just continue until you've pressed all four books. They will then pop out of the shelves again so you can start over.